Geçen sene Peter Reynolds´ın "The Smallest Gift of Christmas" kitabını paylaşmıştım. Tam da yılbaşı öncesi kitabın Türkçeye çevrildiği öğrenince çok sevindim ?? Yılbaşında kocaman bir hediye bekleyen miniklere gerçek mutluluğun aslında bir hediyenin boyutunun çok daha ötesinde olduğunu anlatmak için ideal... Zamane çocuklarındaki elindeki ile yetinememe ve doyumsuzluk bence çok büyük bir sorun ve bana kalırsa her geçen gün daha da kötüye gidiyor... Fazla söze gerek yok, çok tatlı bir hikaye 3 yaş üzeri için uygun. Peter Hamilton Reynolds is an author and illustrator of children´s books and is the Founder of the educational media company FableVision. Reynolds was born in 1961 in Canada with his identical twin brother, Paul who collaborates as author on several children´s books (Going Places, Full STEAM Ahead), and also serves as CEO of the Reynolds educational media firm FableVision. 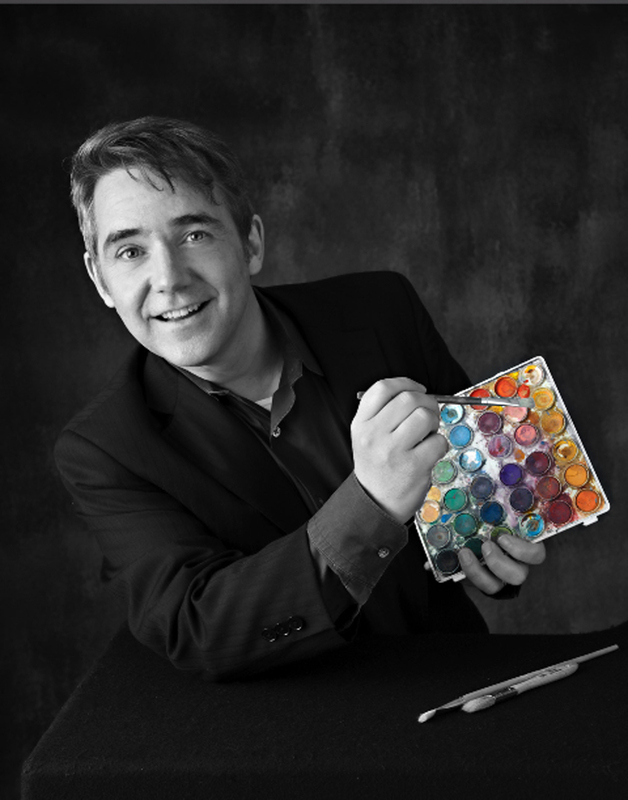 Reynolds is best known for his children’s books about “authentic learning, creativity and self-expression”, including The North Star, Ish, The Dot, and So Few of Me. The Dot, published by Candlewick Press, has been published in over twenty languages, as well as in Braille, and has won a number of awards, including the Oppenheim Platinum Toy Award, Borders Books’ Original Voices 2003 Award, and the Christopher Medal,as well as the American Library Association´s 2005 Carnegie Medal of Excellence for the book’s animated adaptation. Reynolds has also published a book series for young children, based on the character "SugarLoaf". Published by Simon and Schuster, the first two books in this series are titled My Very Big Little World and The Best Kid in the World. Reynolds’ award-winning publishing work also includes the best-selling Judy Moody series written by Megan McDonald, Eleanor Estes’ The Alley and The Tunnel of Hugsy Goode, Judy Blume’s Fudge series, and Ellen Potter’s Olivia Kidney books. His collaboration with Alison McGhee called Someday spent 2 months on the New York Times Best Seller list for Children´s Books. In addition to his children’s books, Reynolds also created the award-winning animated short films, The Blue Shoe and Living Forever, as well as the film adaptations of his books The Dot and Ish. Reynolds lives in Dedham, Massachusetts and is the co-owner of his family´s book store, The Blue Bunny Bookstore, and is the founder of the civic-powered revitalization group Dedham Square Circle.